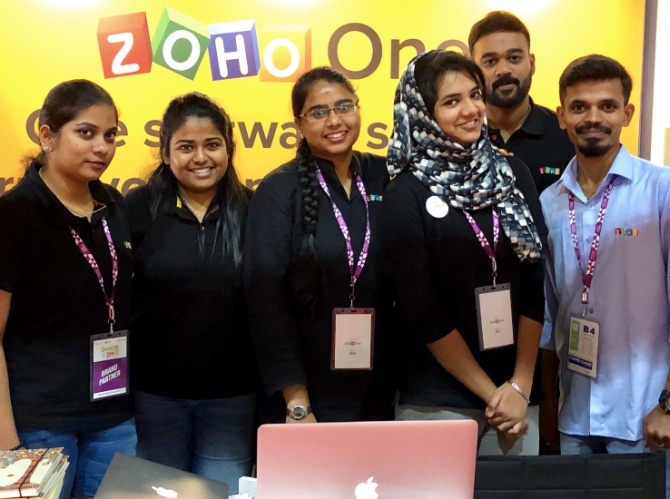 In 1996, when India was talking about services, Sridhar Vembu, who had his education at IIT-Madras and has a doctorate from Princeton University, co-founded AdventNet, which in 2005 became Zoho Corp, to create cloud-based software products. 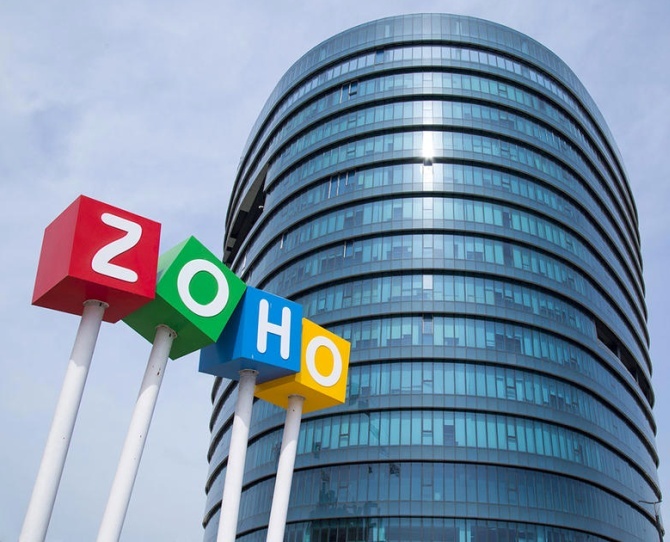 Some 23 years later, it is said Zoho is worth $500 million with 45 million customers and 7,000 employees in seven countries including the US, Japan, China, The Netherlands, Mexico, Australia and Singapore. 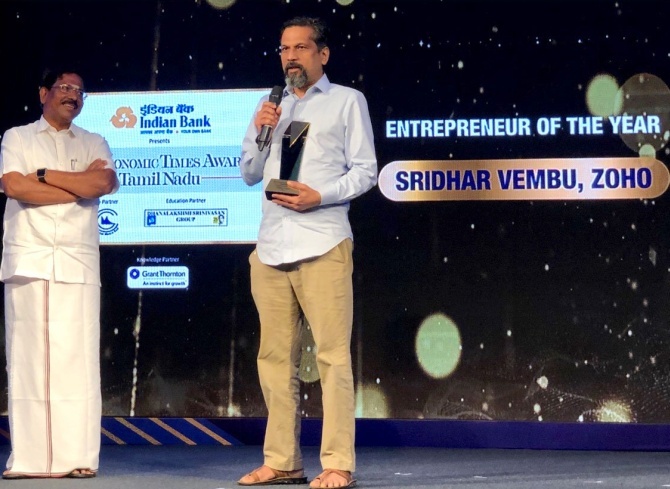 Dr Vembu keep investing in more and more products that are being created in rural India. India is known as the service capital of the world in technology. You have been creating products all the time. Do you feel India has to move from services to creating products? It has to. If you don't have the know-how to make things, you will stay permanently behind as a country. We can't say all the time that somebody else has to supply us the technology. We use smart phones, we use cameras, we use scanners, but everything is imported. This has to change. That's where companies like us are different as we started investing in product development from the beginning. We are there early. You said somewhere that you were disturbed by the two worlds existing in every country. You said not only in India, even in the US also, there exist two worlds. In America, I saw a huge difference between the coast and the interior. In fact, they are two different countries. The coasts have become much richer and more expensive to live in while the interiors are decaying due to de-population. It is true in the case of India also. There are two Indias now: India and Bharat. This kind of development is not healthy for any society in the long term. When you have cities bursting at its seams, it is foolish to add more and more people there. At some point, excessive growth can become a cancer. While urban areas grow like cancer, rural areas decay. When the economy was liberalised, the argument was that there would be a trickling down of wealth, but nothing of that sort has happened in the last 25 years. In fact, we see that the gap between the rich and the poor has widened not just in India, but all over the world. It is true. I would blame the monetary policies the world has been following. Now, every country is talking about protectionism. From a world without borders, it is becoming a world with borders. This is having a huge political impact not only in the developed countries, but developing countries too. That's why we see a Trump getting elected and Brexit happening in the UK. Politics is becoming more and more unstable even in the rich countries. Traditional politics is giving way to new movements both in the right and the left. World trade is now unbalanced. For example, India imports a lot more than it exports. It pays through remittance by labour exports. Indian workers in the Gulf and elsewhere are paying for our exports. Similarly, America has a massive deficit while China runs a surplus. Within Europe, Germany has a surplus while Italy has huge deficits. This is not sustainable. Protectionism is an echo of these tensions. I don't like protectionism. Protectionism is a bad remedy. Trade is good, but it has to be balanced. We should not have let this imbalance get this far. This happened because of bad central bank policy, particularly the central banks in the US, Japan, etc. They created huge bubbles and when the bubble burst, they printed more and more notes. In other words, that created more and more debt. We see it as NPAs in India. It is clear that the world's monetary system is flawed. Some countries are developing at the imbalance of another. For example, Germany and Italy, the US and China. Or India and China. This imbalance cannot go on. The solution is not going to be easy or smooth; it is going to be messy. I feel the global economy is going to go through some tough times; more debt, more imbalance, and political tension and social tensions due to inequality. This will be more in the US and Europe, and I think India is a little better. The Economist magazine also says the golden era of globalisation is over. It is not that everything that happened in the last 25 years was bad, but we let the imbalances grew. We didn't have moderation. Do you think there is a job crisis in India? Compared to my own childhood days and college days, things are vastly better today, that's for sure. There are jobs, there is growth and the economic situation is much better today. It is quite visible. So many things have improved. Compared to the global scenario, India's situation right now is more stable. Looking at the global situation, I am relatively more optimistic about India. Yes, we do have problems. But our new problems are of a different kind. I would say urban overcrowding as the first major problem resulting in a rural crisis. The entire world feels the agrarian crisis now. We are yet to find out how to treat those who create food, better. It is true in the US, in Japan, in Europe. In India. Farmers are committing suicide in the US. We need to have moderation in everything, from growth to climate change. We should stop worshipping growth for its own sake. I don't believe the global economic crisis of 2008 is fully resolved. We have only postponed it. A similar kind of debt crisis may arise. Like our NPAs, countries like China, Japan, the US have huge debt problems. It is like every shirt is dirty and the question they ask is, which shirt is least dirty? China is experiencing the least growth in the last 30 years. Exactly. We operate in China, so we see what's happening there. China's growth model is using an extreme amount of capital expenditure. China is a much richer country by GDP, but the wages are not much higher than India's. Interestingly, China has invested heavily in physical infrastructure like bullet trains, highways, apartment complexes. But they have not created income on par with the growth. As a result, the purchasing power is not there. They have the capacity to produce, but do not have the income to consume. That's why they have some 60 million empty apartments. It is a lopsided economy. The imbalance in China is because they invest in physical infrastructure, but don't pay people enough. So, they are able to produce cheap goods. Chinese companies are dumping goods elsewhere because their people cannot afford to buy them. Once they start paying more to their employees, Chinese goods will become costlier. That's why India has to start producing as Chinese wages will rise and Chinese goods will be costly soon. You said the Chinese cannot consume. On the other hand, India is considered by the world as a huge consumer market. Interestingly, compared to China, India's consumption is higher in percentage of its GDP as income is higher here. Yes, India needs to invest more in infrastructure. While India needs to build more, China needs to consume more. That's the balance we are talking about. For you, is India as a market more important now? India is the fastest growing market. Some 10, 15 years ago, our entire revenue came from outside India, but today, our fastest growing market is actually India. From 1% to 2%, it has grown to 7% to 8% of our revenue now. You always talk about the importance of making products in India. 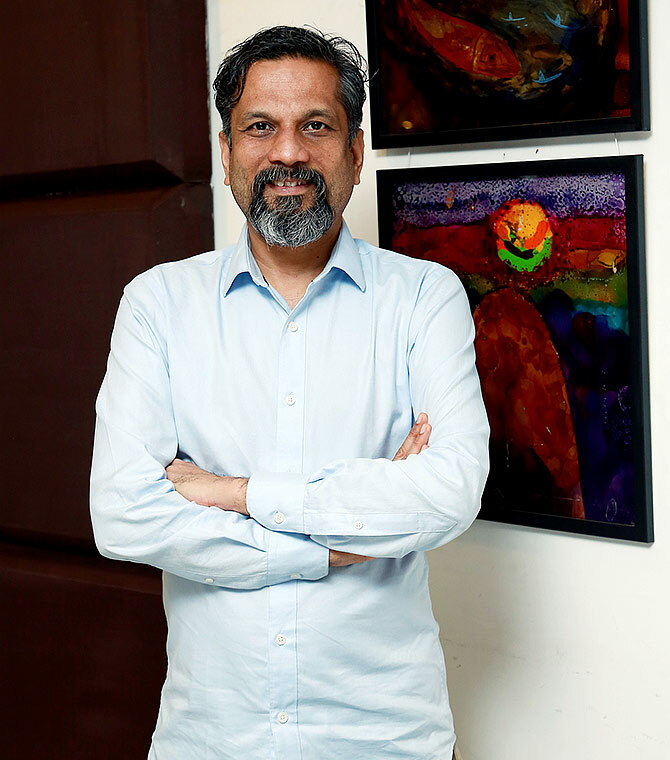 Would you say Make in India has to be not just an idea, but a movement? Yes. According to me, the private sector has to step up. The government can only do so much. In India, we want the government to do everything. In fact, the government doing too much was the problem during the Socialist era. Today, there is no barrier to do R&D in India. But we need patience to design a product. We need engineers who are willing to dedicate their life to it. That's what is critical. 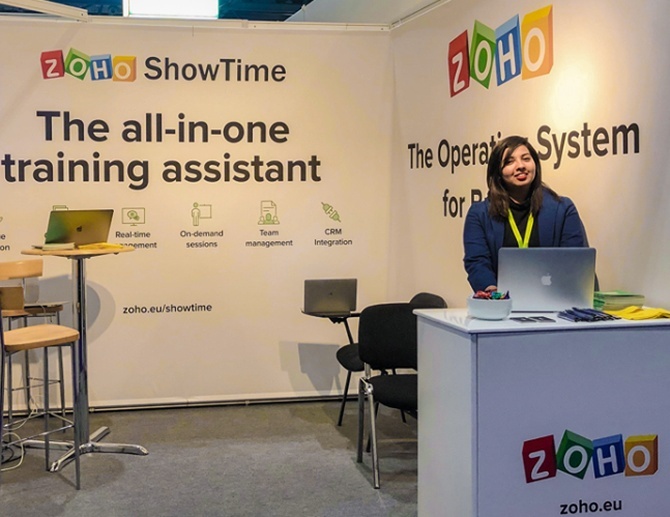 That's what Zoho has been doing all along. As a part of our Made in India initiative, a group of 50 engineers developed India's first LTE chipset and released this year. It was designed over a period of eight years. I am of the opinion that India's private sector has to be the participant. It is the duty of the private sector to invest in R&D. Look at Japan or any other country, every product is designed by private players. The Indian private sector has to step up, particularly the established players have to invest more in R&D. India's traditional weakness is not investing in R&D because it is a long-term investment. 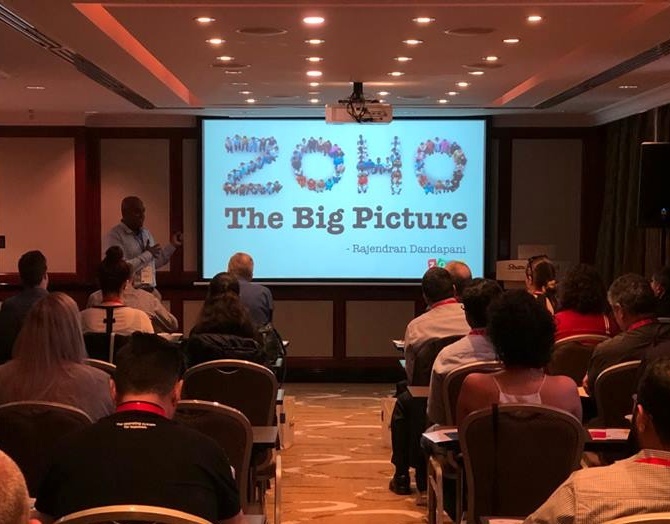 Where do you see India in the next 5 to 10 years in the global map? R&D is crucial. We have to start designing and making products we need. I will give you an example. When I go to my village in Thanjavur, I see that the rice farmers there use the rice planting machine made in Japan. Imagine, we have grown rice for thousands of years and we have been producing engineers for many, many years but we still have to import a machine from Japan to plant rice. Unless we start making the products we need, we cannot become a developed country or call ourselves an economic power. And the private sector has to do it. We have seen countries like Greece, which saw prosperous times, going through a debt crisis. We have to decide whether we want to go the Korea, Taiwan path or the Greece way with no production and importing everything from Germany. Who has to decide, the politicians or industry? A politician cannot design a camera or a rice planter; they can only create the environment. It is for the private sector and the engineers to do it. To me, the spirit of Swaraj is self-governance. In that sense, we have to look at the Advaitic self for solutions and not the government.